For 25 years I have been part of a singing ensemble. Different members have come and gone but the group has continued on in one form or another and I have remained a part of it, until this year. This year the group finally came to an end. It’s quite odd not to have regular Tuesday night practice, not to be in the holiday mood early because of working on Christmas songs in September, and not to have a reason for a new holiday outfit this year. To keep from missing it too much, I chose to begin lessons with a vocal coach – not only to continue to have music in my life but also to keep me in front of an audience on a regular basis (if I have too long between public appearances, whether speaking or singing, I tend to develop a touch of stage fright). Right now I am preparing a piece for a recital. While it’s strange to be working on only one song instead of fifteen, it’s fun to be laser focused on making that one song completely mine – crafting it to take advantage of my abilities. It’s an interesting process. First I found a song I liked. Then I searched the internet and listened to 38 different artists to find a version that suited me. I found two I liked equally well and couldn’t decide between them. My vocal coach and I decided to combine them — take the best pieces from each and splice them together. In order to do that I needed to learn to sing the parts of the songs EXACTLY as the original singers do: their notes, their timing, their inflections. Once I mastered that, only then was it time to work on folding them together. And after that, I was finally able to put my own spin on it and make it MY version. find someone to model who does something similar with excellence and study them – duplicate their movements toward success until you know what you are doing very well; then step away and put your own spin on it. It’s similar to learning to write in cursive in grade school. At first it’s all about holding the pencil exactly right, then following the patterns of each letter perfectly, row after row after row. Then in the end you’re free to write any way you choose, with your own personal flair. 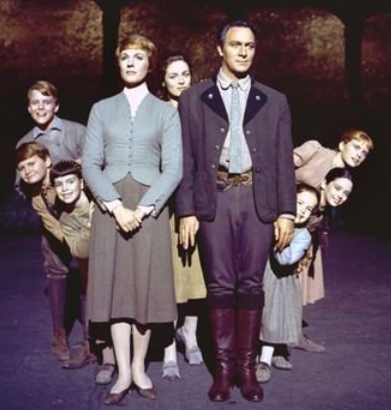 Remember the Von Trapp children from The Sound of Music? Once they knew the notes to sing, they could sing most anything! It’s true professionally. There are hundreds of financial experts. All of them have the purpose of increasing their clients’ financial portfolio. But each one has their own variation on it. Suze Orman, the Motley Fools, Clark Howard, and Dave Ramsey are all people who are in tune with the same basic principles and do what they do very well, but very differently. It’s also true personally. Whatever your purpose is, take advantage of the people out there who are doing it well now. Don’t be too proud to ask for assistance – ask questions and try out their methods. Read books, visit websites, go to seminars, or plays, or concerts, or sporting events and watch and learn. Why start from scratch when you don’t have to? Get the basics down, establish a foundation, and then move out and find your own style and make your own kind of music.